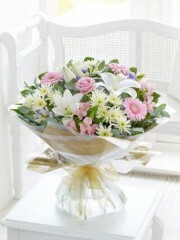 Flowers are the perfect way to say Thank You and are a considerate and thoughtful gift. Ellon Flowers provide a wide range of different bouquets and arrangements which are perfect for expressing your gratitude. 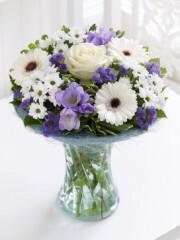 At any time of year and for whatever reason for your gratitude, a bouquet of Thank You flowers will be a wonderful gift. 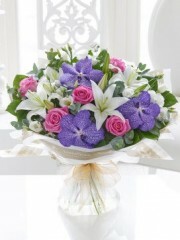 Whatever the colour or type of flower, Ellon Florists are sure there is something for everyone. The variety of beautiful flowers available means that the customer can select the most appropriate style, flowers and colours according to their wishes. 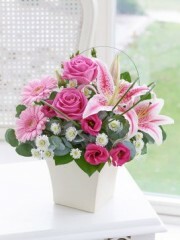 There are also a wide range of different styles and colours of vases which your flowers will be presented in. 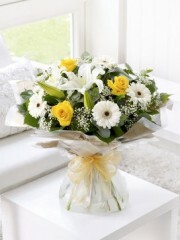 For a gift that expresses your thanks towards someone, Ellon Florists can supply you with the best and most carefully arranged bouquets to do so. Our highly skilled team of florists will create artistic and elegant arrangements to ensure your gift is the finest it can be. 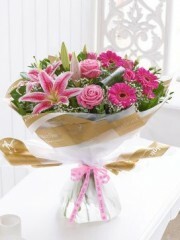 You can also complement your Thank You flowers with a number of additional presents. 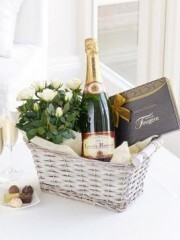 These include champagne, wine, chocolates, balloons and teddies. 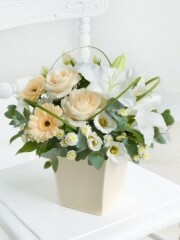 These finishing touches can be chosen to best suit the preferences of the recipient of your Thank You flowers. If you decide to complement your bouquet of flowers with these mentioned additions, Ellon Flowers offers to deliver all your chosen items together. Ellon Florists endeavour to achieve exactly the requirements of the customer and to create the best Thank You gift possible. To ensure this we place the utmost care and consideration in the selection of the best quality and freshest flowers available. The beautiful, fragrant flowers we provide at Ellon Florists create special, personal Thank You gifts with the aim of delighting your chosen recipient. We hope both the customer and recipient of the flowers are fully satisfied with both the beauty of the flowers and efficiency of Ellon Flowers’ services. Beautifully arranged flowers are a wonderful way to say Thank You, and Ellon Flowers would be more than happy to be your Florist of choice in your selection of Thank You flowers. Provided that the order is placed before 3pm, Ellon Flowers can ensure that your Thank You bouquet or arrangement is delivered by the next day. 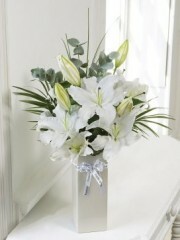 Ellon Flowers will be delighted to deliver you flowers to the specified address of the customer. Deliveries are able to be made personally in Aberdeen and the North East of Scotland; however it is also possible to send your chosen gift of flowers to the rest of the U.K and further afield through our network of florists. Ellon Florists endeavour to deliver your flowers with the highest standards of carefulness and consideration so that your flowers arrive in perfect condition. In order that the fragrance and beauty of your chosen flowers last for as long as possible, Ellon Flowers select flowers of the highest quality. If you desire a particular type of flower or colour included in your bouquet you can contact Ellon Flowers so we can prepare an arrangement particular to your wishes.